All of our mud management grids are professional-grade and are designed for use in both residential & commercial applications. 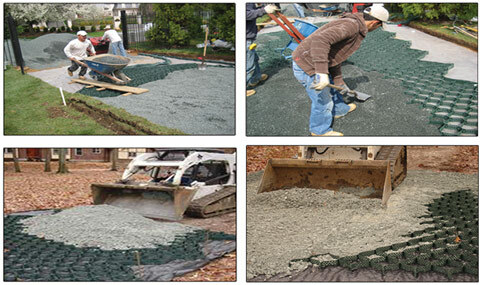 Our grids are designed for decades of continuous use in ground stabilization applications. 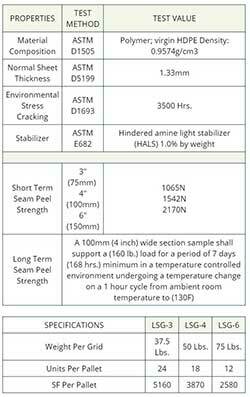 The LSG grid can be used to reduce mud and stabilize a variety of surfaces. The 3" model is best used for pedistrian and light vehicular traffic, the 4" & 6" models are designed for medium - heavy vehicle traffic. 4 stakes should be placed at each corner of expanded grid dimensions. It is recomended that 1 stake is placed at each corner. Expand the grid past each stake to to expand all cells together. 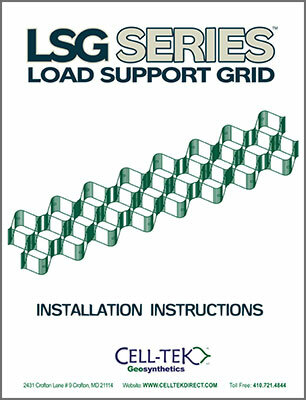 Once expanded allow the grid to relax and place the corner cells over the installed stakes. Additional stakes can be added if necessary. To enure proper expanion, fill in gravel in the perimeter cells and add stakes when necessary. 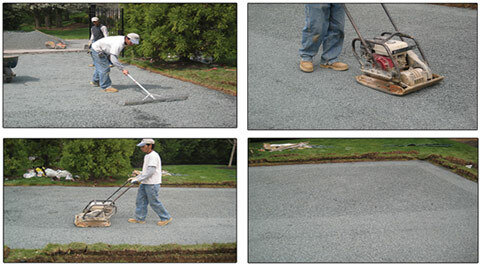 Note: Sand can be used to overfill to provide a softer surface for the grid area if desired. 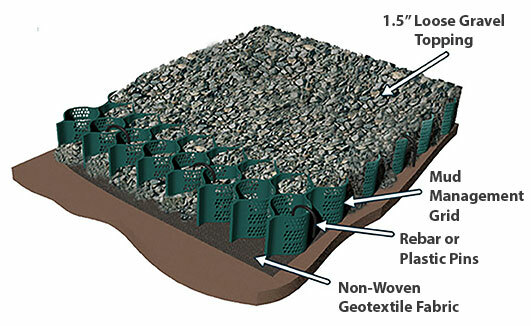 Please keep in mind that by using sand the overall permiablity of the surface will be reduced as over time the sand will collect at the bottom of the grid on the geotextile layer reducing the vertical permiablity over time. 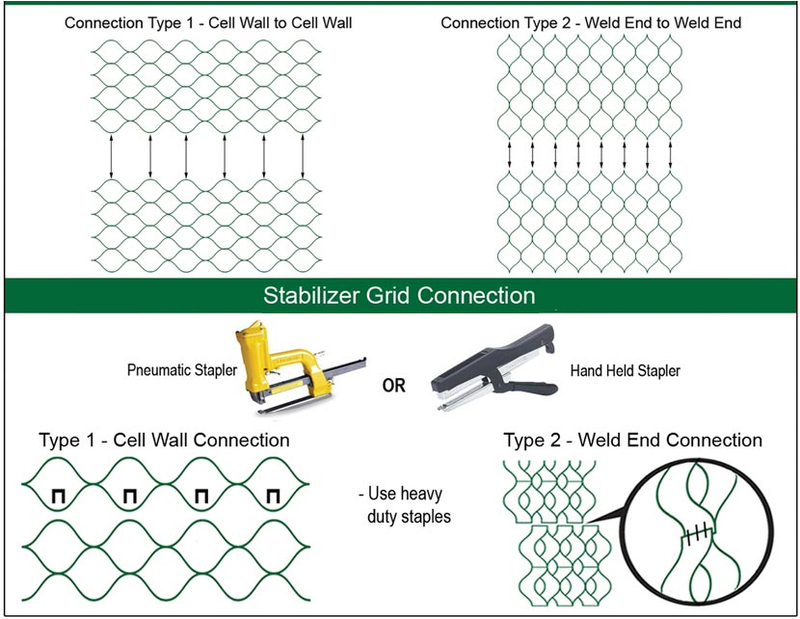 The grids can be connected by either using heavy-duty zip-ties (for lighter load applications) or by stapling as shown below. If connecting with zip-ties, run the zip ties through the drainage holes on the sides of the cells to connect. 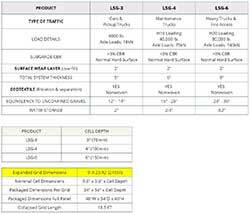 The following accessories must be purchased with an accompanying LSG grid order and can not be purchased alone. Mud Management Grid - 9' x 24' x 3"